Almost everyone is intimately acquainted with the various sounds which breeze can create. Maybe you have important memories or feelings associated with lying in bed with the distinctive whistling of nighttime gales outside your window, or perhaps you’re more attached to the gentle rustlings of plants and trees. The beautiful thing about breeze is that it can be heard in so many different scenarios and environments, which gives rise to an infinite number of human interpretations. Many musical artists have harnessed wind in a variety of forms to evoke feelings connected place, time, atmosphere, or states of mind. 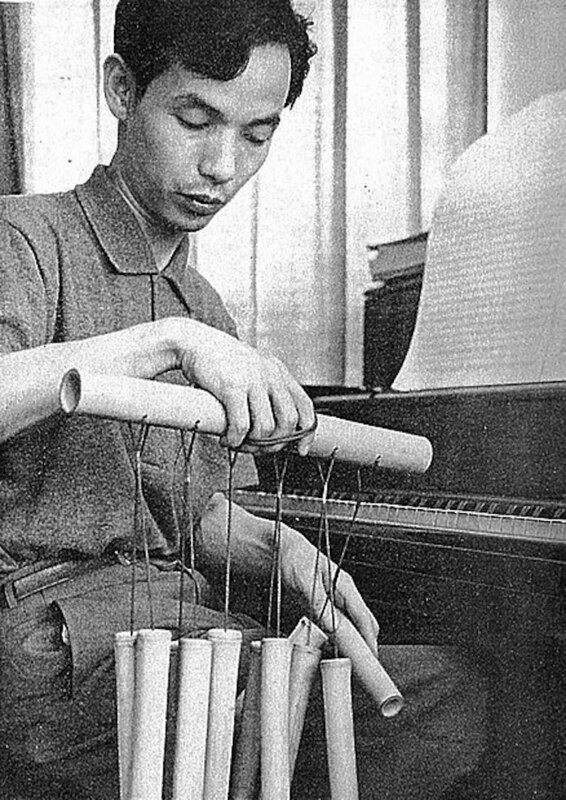 A large portion of these compositions actually contain real recordings of wind and manipulate these sounds to craft something entirely new. The works of Norwegian composer Jana Winderen are a prime example. Utilising field recordings stemming from a variety of settings, Winderen’s pieces offer listeners the chance to embark on a journey across vast, intricately detailed sonic landscapes which reflect astonishing natural environments. Many of these environments explored by the pieces are rarely or never experienced by listeners, adding a layer of mystique and immersion to the recordings. Her 2010 work Energy Field, for example, presents an edited collage of recordings from the marine and glacial environments of Greenland, Norway, and the Barents Sea. These regions are home to unique varieties of weather and wildlife which regularly produce sounds unheard of by the average person. The ambient wind effects heard in the piece are anything but everyday, being juxtaposed with sounds recorded from deep glacial crevasses, Arctic animals mating or hunting, and ocean waves crashing upon cracking ice. These contexts give completely new meanings to breeze, demonstrating the unique sonic space it occupies in a part of the world entirely different from our own. Unlike Winderen, who uses real field recordings in her works, many other composers have recreated the sounds of wind through instrumental interpretations. Many of these interpretations correspond to personal experiences, history, or even other pieces of art. Among these composers is Toru Takemitsu, whose seminal work And I Knew ‘Twas The Wind captures the auditory, physical, and emotional sensations associated with wind. Inspired by an Emily Dickinson poem from which the piece takes its name, Takemitsu’s instrumentation and compositional techniques sonically recreate a close reading of the poem and embody its abundant mixture of nature-specific imagery. Arranged solely for a trio of flute, viola, and harp, the piece emulates the chills of wintery winds through high-pitched viola harmonics and sudden flute trills. This serves to both recreate the sounds of wind, but also establish the same physical and mental reactions in listeners. The sudden transformations in texture not only reflect the natural environment, but also the way the human consciousness tends to flow in a way much like the wind. Other musicians have used wind as inspiration because it has played a vital role in their everyday lives, creating a very deep and personal connection with their compositions. Italian synthesiser artist Gigi Masin has been creating music about the wind, water, and weather since the 1980s. Growing up in Venice with a strong passion for sailing, Masin had always lived an existence that was inseparable from weather. His debut 1986 album, simply entitled Wind, encapsulates his life in a city with canal boats instead of cars, paying tribute to his unavoidably close relationship with wind and water. As a tribute to his experiences living a quiet, ordinary life in a city that is consistently overrun by tourists, Wind presents an intimately thoughtful, distinguished, and melancholy portrait of local life in one of Italy’s most iconic travel destinations. Ironically enough, almost all of Masin’s music equipment and recordings were destroyed in a thunderstorm-induced flash flood in 2007. Thanks to living near the flood-prone city of Venice, the very forces of nature which compelled him to produce music managed to destroy his lifetime’s output within a span of minutes. Thankfully, Masin has remained active despite the immense loss and has achieved much wider recognition over the last decade, continuing to expand upon the thematic material of his creative past. Each of these works is guaranteed to have you contemplating how a simple breeze can profoundly influence the world. Perhaps next time you experience the wind yourself, you will begin to formulate your own creative interpretation.